A former care home manager’s guide to getting Outstanding has become a nursing home bestseller. 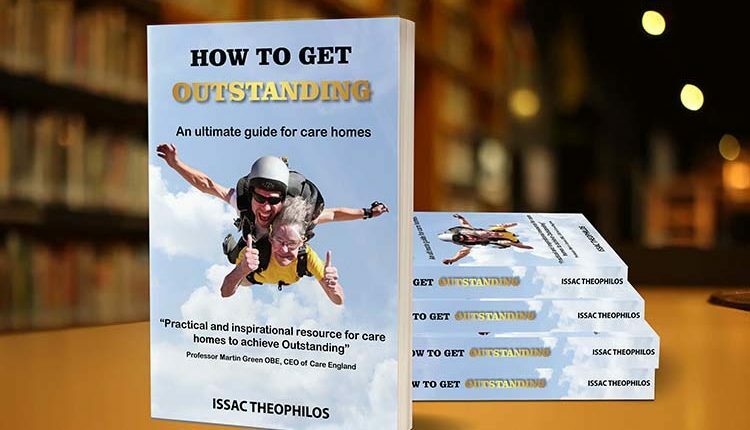 How to get Outstanding: An ultimate guide for care homes, written by Isaac Theophilos, explains what to do before, during and after the CQC inspection. The book offers practical ideas for care home managers and owners on all CQC Key Lines of Enquiry. Professor Martin Green OBE, CEO of Care England, described the guide as a “practical and inspirational resource for care homes to achieve Outstanding”.